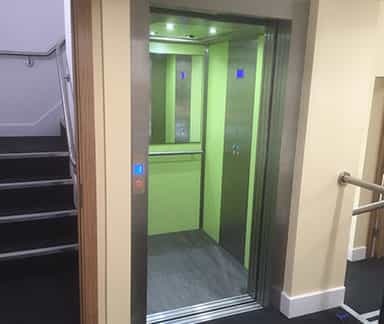 The lift also features an integrated drive system that doesn’t require a separate machine room. 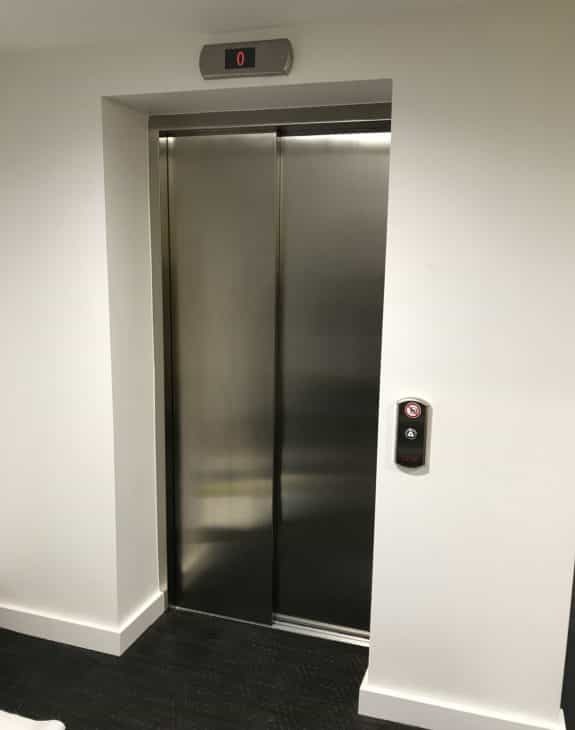 Please click on the links below to download the lift NBS specification. 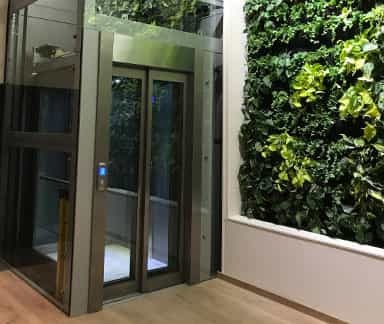 The modern Leonardo lift – for both public buildings and home environments – meets part M of building regulations. 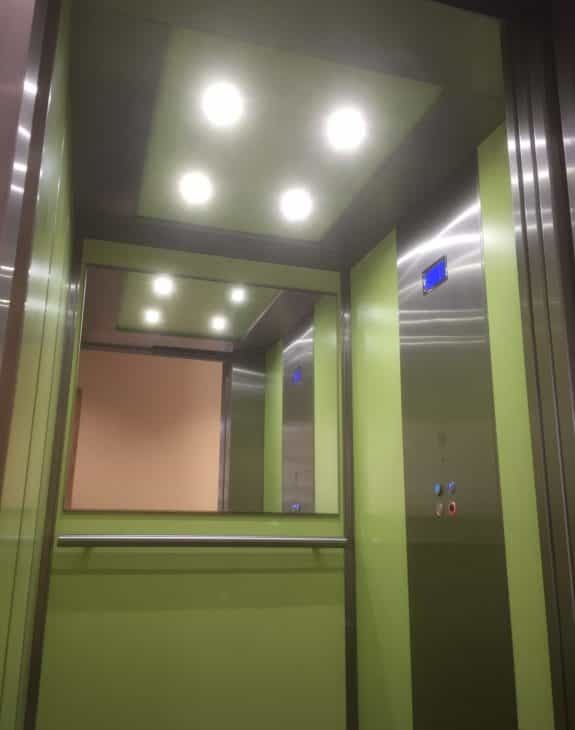 Available in different styles and introducing the first machinery directive platform lift with automatic sliding doors, it is pitless and has low headroom. 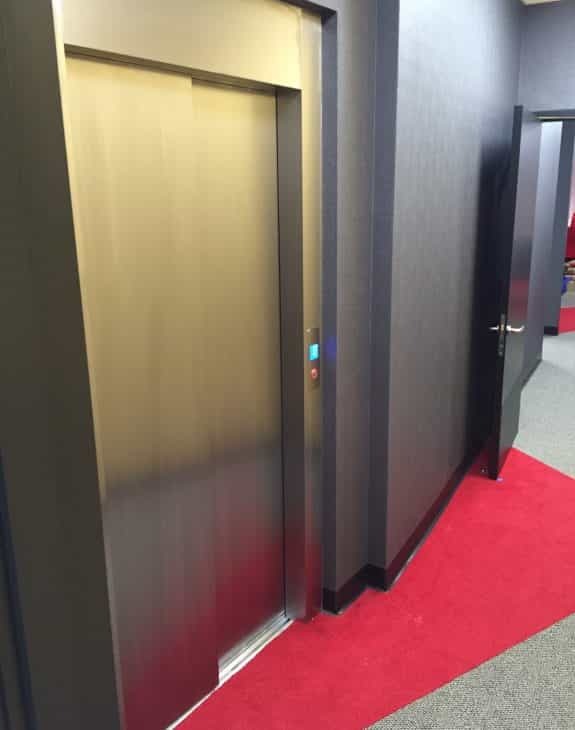 This lift can also have a bespoke car interior to your design. 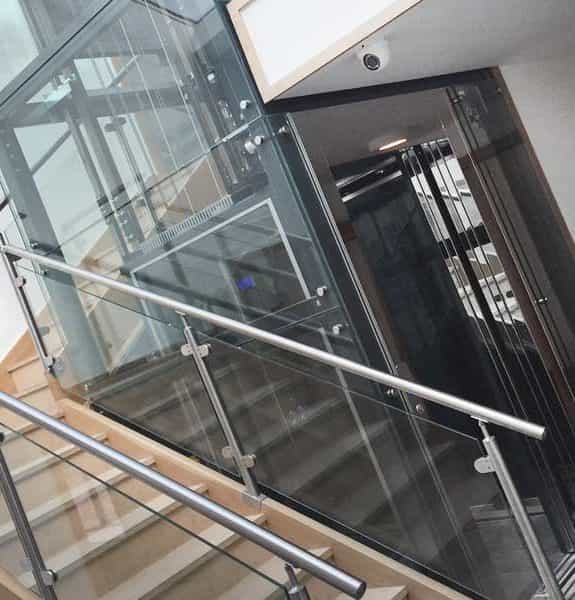 Unlike any other platform lift, the Leonardo sets itself apart by introducing new sliding doors. 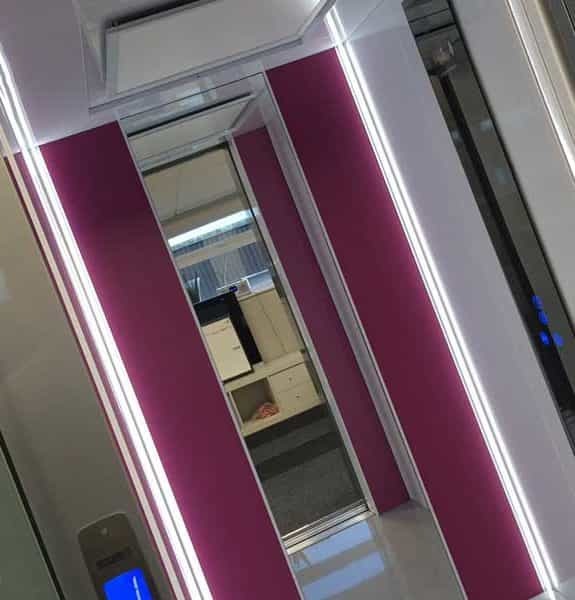 Not only does the sliding door feature give a brand new look to platform lifts, but it also means space at the front of the car entrances are not needed for the doors to swing open. 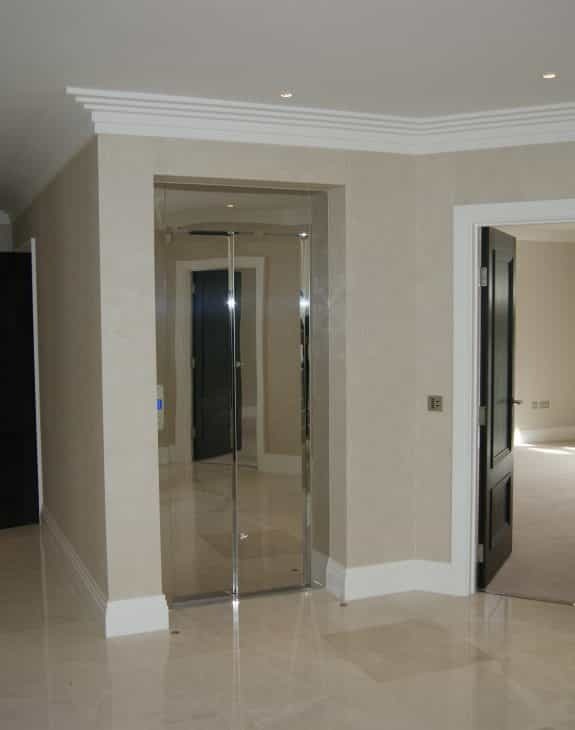 Choice of flooring, Granite, Linoleum, or customers own. 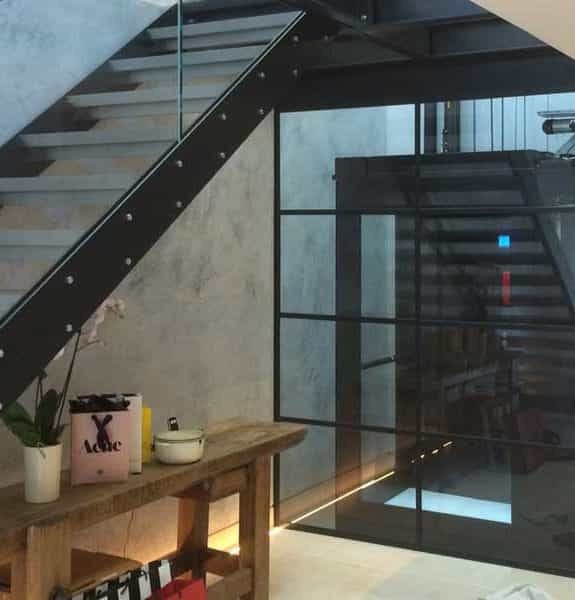 Machinery Directive 2006/42/EC, Part M DDA, CE Certificated. One touch with cabin doors, Hold to run with no cabin door.